So many questions come to mind when you think about what would happen if your dog bit someone. What do I do to stop my dog? Is everyone ok? Do I need to call for help? Do I report the incident to someone? Could I get sued? Your dog biting someone could possibly be one of the worst things you could imagine. Not only could someone get seriously injured but your beloved pup could be taken away from you. It’s important that you know what to do should your dog bite someone. First thing to remember is to remain calm. It’s important that you don’t begin to argue because it may cause your dog to attack the victim again. Not only is this for the well-being of both the victim and your dog but also because the victim has to make the decision as to whether or not they will want to hire a lawyer and sue you for damages. Being polite and nice is always the route to go because the victim may decide to be nice back and not involve a lawyer. Get the victim medical attention. Be mindful and take them to the hospital immediately. It’s important that they get the bite mark checked and tended to. If you’re going along with the polite and nice route, you should offer to pay for the victim’s medical bills. This was not their fault and remember, you do not want to involve lawyers. Give your contact information to the victim. In some jurisdictions this is required. So be sure to give your name, address, phone number, etc. to the victim. Going along with this, you should also get the victim’s information as well as any witnesses. What Do I Do If My Dog Was Defending Me? It’s quite possible that your dog was protecting you.Dogs attack because they feel their property or loved ones are threatened so their owner is assaulted, they are likely to go into defense mode. Perhaps you were being mugged or attacked and your dog was trying to help you which resulted in biting as a form of saving you from harm. In this case, it’s important that you leave the area immediately. You don’t want yourself or your dog to be harmed and hopefully the criminal involved is scared off. You’ll also want to contact the police and file a report. Make sure you are honest about the situation and try to be as descriptive as possible so you can help prevent others from being attacked by this criminal. A few days or weeks after the attack reach out to the victim and check in to see how they are doing. Show that you genuinely care about their recovery. However, be careful of what you say because it could come back to bite you in the rear (pun intended)! Remember that there is still a chance that you and your dog will face criminal charges or a civil lawsuit. There are actually three places where you might end up. 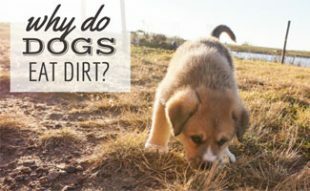 Civil Court – Dog owners are responsible for injuries from bites in most states. Criminal Court – This is rare, but if the attack was serious enough or if the dog has a rap sheet you could be accused of a number of crimes. Dog Court – Animal control may pay you a visit and take action against you and/or your dog. If you are cited – you need to prepare a defense. Now, back to being careful about what you say, express your sympathy and show compassion for the victim. These types of remarks won’t be used against you in court because they are acts of kindness. If court is not the route for you (and hopefully it isn’t) there is still a chance that your dog may be quarantined. Quarantine can be done at your own home, so ask if this is an option for your situation. Make a copy of your dog’s medical records including rabies shots and give it to the victim. This will put their mind at ease knowing that they are not at risk for rabies. There are many reasons why you may want to seek legal advice. If you felt that it was necessary to seek legal advice you may want to contact your insurance company. Check with your insurance company to see if they cover dog attacks (aka dog liability). If you have homeowner’s or renter’s insurance there is fair chance that you have coverage but it depends on the state and, commonly, whether the bite happened on your property or elsewhere. Some insurance companies even offer medical payments coverage which you can offer the victim. We know you’ll want to protect yourself and your dog, but lying is never a good solution. 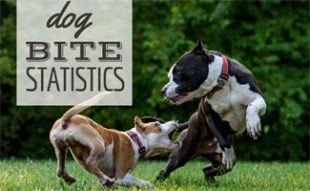 Many dog owners give false information or make untruthful statements about the dog’s history of biting, which can end up hurting you and your dog. Because this incident can lead to criminal charges you should avoid discussing the following things. We know this sounds ridiculous and that there are times where you’ll need to discuss the incident. For example, when you take the victim to the hospital. But when discussing it, try not to go into too much detail and blab on about it. Try to be brief but also make sure it’s the truth. The video below from the Paw Report has a good summary of what will happen if your dog bites someone and also provides tips on how to prevent bite situations. Your dog is now considered dangerous. You may know the loving, sweet side of your dog and may have an explanation as to why your dog bit that person but the sad truth is that those things don’t matter in this situation. 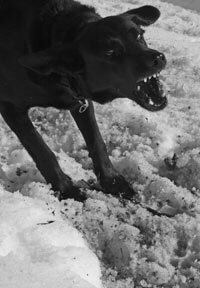 The fact is, your dog attacked someone, and because of that, your dog is considered dangerous by the local government authorities. There are now precautions that you must take. Because your dog has a rap sheet, you both could face serious charges in one of the three courts should there be a second incident. Unfortunately, you must look at your dog differently now. You must protect your family, friends and strangers from your dog. Consider taking your dog to an animal behaviorist certified by the Animal Behavior Society to help deter aggressive behavior in the future. 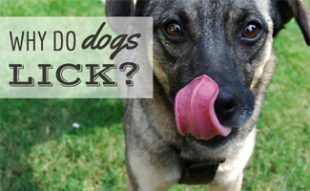 Does your dog have a history of biting? I walked into a domestic violence situation with my stepson completely unaware and they turned on me as police seem to always tell us and it is very very true Zayn they had two very big pitbull dogs they proceeded to let them out of their cages and ordered them to kill me for whatever reason hatred whatever because I’m the step mama and I was a very good one to him so why that happened to me I don’t know insurance will not cover it will not cover my injuries my bill’s nothing so here’s one more victim that gets to live with their injuries with zero compensation and no one that cares, of anybody that cares I feel for those out there they should have permits I did not even know the dogs were down there and that is the terrible part of it they were not supposed to be there so good luck and I hope nobody else has to go through what I did. Its sickening insurance gets out of it when there WAS coverage for this crime. Im not sure I understand…? Your husband went to hospital and someone was watching your husky?? Your hubby went to pick the dog up? and the dog bit your husband? or the person who bought the dog? What state do you live in? Im sorry, Im just confused. I was bit in the face by a dog I walk scheduled to walk for a service I was working for. The service responded by blocking me from the owner’s contact info and refusing to assist with my medical care at all. The bite became infected and I had to pay for everything out of pocket. It was a year ago and I’m permanently disfigured now. I don’t hate dogs, but I do hate their owners. Wow sorry to hear that. Thats horrible, and you’re right (imo) for not hating the animal(s) but the “owners.” But imo I think the company you were using to get walks were wrong. But then again I dont know their policies or what you agreed to- knowingly or not. Do you even know if the clients knew that happened? Where did you meet to pick dog up? At your home? Im assuming, obviously, you didnt have their info? Again, I am sorry for what happened but I am glad I read YOUR experience…as I was just signing myself up for walks and babysitting. I have not completed the application but NOW I WILL BE SURE to read everything carefully. Do you mind if I ask what company you used? (IF you are legally allowed to say??) Hope you at least feel better. Take care and thank you for sharing your experience. There was an incident with my dog and resident in my condo building. I accidentally let go of his leash as I was entering into the building and then tried to catch my dog in the lobby. He thought we were playing and continued to run back and forth. I tried to catch him before a resident came down in the elevator. However, I was not quick enough and one of our more troublesome residents came down in the elevator and my dog ran into him. My dog jumped up and the resident was frightened (which I totally understand). I had to grab my dog away from him which resulted in his coat being torn and he incurred a scratch on his neck. He was bleeding and understandably upset. I was upset as well. I did not feel that my dog was attacking him but I do not want to take anything away from the victim. The police was called, I complied with everything and called my insurance company. The resident is pushing for my dog to be removed but my dog is not an aggressive dog. We have lived there for 2.5 years and he has never attacked anyone. He is very playful and has interacted with adults, children, and babies with no issues. I do not want to lose my dog and if my husband and I had the money, I would just move to house. My dog is my heart and I am scared to death that the condo board will try to make me remove him. The injuries were minimal but again I understand the trauma behind it because I was jumped by a dog when I was younger. Does anyone have any advice on how to move forward and still keep my dog? I offered the solution of only walking my dog with a muzzle but not sure if they will accept that as enough. I had a dog (utd on shots) bite my young cousin. He ended up getting stitches and on the medication to prevent rabies. His mom said she didn’t want to file any reports. Because I had children of my own in my house I wanted to get this dog out of my home ASAP. I love animals, but my people are more important. I could not find a shelter or pound who would keep her for the 10 day quarantine and did not want to leave her in my home, around my kids. I found a vet who would humanely put her down. A week and a half later my cousins mom wants my homeowners insurance to pay, but now I feel like I didn’t take the right steps and will be denied. What is your thoughts on this? Could my insurance deny the claim all because I did not wait the 10 days? I can understand not wanting this dog in your home after biting your cousin, but you couldn’t go out of your way to find a place to keep your dog during the quarantine? You clearly value your own convenience over the life of your dog. Also, there is no way to humanely kill an animal that doesn’t want to die. My daughter and her dog, a two year-old English Mastiff, recently moved back home as her boyfriend has relocated for employment purposes. The dog’s bed is in her bedroom as well as his food and water dish. Yesterday, I was sitting on the bed while he ate, since her boyfriend left, the dog doesn’t want to eat unless my daughter is in the room. She leaves for work at 7am and doesn’t get home most nights until almost 9pm so I doggie sit. So the dog stopped eating and came over and stood in front of me and laid his chin on my knee while he let out the loudest and stingiest burp! I said, “Oh, xxxxx, you stink,” and giggled. He lunged at me, without warning, bit and left bruising and drew blood on my ring finger. No growl, no bark, no snarl, nor snap, just bit. I got my son to take hold of his collar so I could get out of the room. I didn’t want to risk being bit again. It was the first time I have ever been scared or nervous around him. We closed the door to my daughter’s bedroom and left him in there. I interacted with him later yesterday and all day today. Tonight, my daughter had something come up and she couldn’t make it home, so we put the dog in her room for the night but he barked around midnight so I went to check on him. He had food and water and was on my daughter’s bed. I pet his head and spoke to him gently before leaving and closing the door. Then around 2am, he started barking again. I decided I’d go sleep in her room so he would have company. I laid down on my side with my back against the wall. He stood on the bed looking at me, tail wagging and long goofy tongue hanging out, and breathing fast. I attempted to reach for my laptop and he lunged and bit my hand. I was pinned to the wall, afraid to move. He wasn’t wagging his tail but his body language was like none I’d ever seen. He was almost rigid. I slowly pulled the sheet over my head. He eventually got off the bed. I’m wondering a couple things. 1) Is it possible that the dog is feeling a bit of separation anxiety since his master left? 2) is it possible that the dog is worried that she isn’t coming back to get him? If anyone has experienced anything like this or can offer some free, unsolicited advice that would be wonderful! Thanks! I think you she be a little more worried aboutyour own personal safety in the safety of other people visiting your house first and foremost the reason why the dog is behaving like that is because it is being locked in a room for hours and not being socialized properly. I have owned many dogs and I have also seen many people leave their dogs home all day while they’re at work and then they start to act out around people because they’re not used to being around them. The dog shouldn’t be owned by someone who’s gone all day and all night and will only eat in the same room that it’s sleep in. This is not a normal way for a dog to live especially a big dog like a mast if I had a dog that was half Mastiff. No animal wants to be alone all the time or for long periods of time especially a big dog like that. Dogs have to be taken out and walked every day and every night. Please help. I need advice. Our dog is a 3-year old, 70 pound, neutered Scott’s-Type Standard American Bulldog. He has been with us since our daughter was a baby, and he helped me foster orphaned kittens, and foster abused hamsters with disabilities. He and my ESA feline are inseperable friends. This dog is my asd disabled husband’s emotional support animal, and was about to start his service dog training. I have never met a gentler happier more tolorant dog in my life. Our dog has never gone after or bitten anyone or anything, until a couple days ago… When he bit two other smaller dogs. The two dogs he bit are small Dashounds/wiener-dogs, so there is a significant size difference. They were hurt pretty bad, and were rushed, bleeding, to the vet. I have since been told both dogs were released from the vet just hours later and that they will recover, but i have not been given any other details about their current condition or the actual severity of their injuries. I will say though, the amount of blood had me terrified that those little dogs wouldnt live, i was extremely relieved to hear they would be ok.
After the incodent, the little dogs’ owner took the time, before rushing her dogs to the vet, to get right in my disabled husband’s face and SCREAM repeatedly that she would sue him to the point that we would “lose our home.” Thebpolice had to make her leave. The next day she communicated to us, through a third party, that she had “no hard feelings” and felt “no ill will” towards us. However, my gut still says we are getting sued. My husband’s anxiety is so bad from the incodent that he had been taking his rescue medication multiple times a day, when he normally only needs it once or twice a month; im becomming very worried about his health. Let me take a step back though, and expand on some details here. The other owner and my family live in the same pet-friendly apartment building. It is worth noting that having current renter’s insurance is a requirement to live here, and that current UTD shot records and Rabies Vaccine certificates must be on file for each resident pet, with the landlord. We have lived here for arround 4 or 5 years, our dog has lived her for 90% of his life. The other owner just moved in about a month ago with her two dogs. We live on separate floors of the building, but have met before in the halls with no issues. The incodent: I had just taken our dog to go potty out the back door of the building. We do this at the same time every day, in this same spot, using this same back door. Just as i was about to pick up after our dog, i heard the door behind me creak open and felt a hard pinch on the back of my calf. I said “ouch!” And turned around to see i had been bitten by a small dog. But before that thought could fully register, our dog had stepped arround me and grabbed the little dog. All hell broke loose after that. The woman who owns the two small dogs fell (she has a bad knee but im not sure how she fell as i was busy trying to separate the dogs, and she was at least 5 feet away from the dogs and i) and at some point she also dropped the leashs of her two dogs. In the confusion, and with the two little dogs continuing to come at us, our dog injured both dogs, not just the one that bit me. Once i got the dogs separated (the woman just sat on the ground screaming the entire time) i started shouting for someone to call 9-1-1 because both little dogs were bleeding. To make a long story a little shorter, the cops were called by several people and many MANY reports were taken. During that process i learned the little dog that had bitten me has no teeth (hence why i wasnt bleeding, although there is a slight bruise) and that little dog has a history of aggression and a history of biting other dogs, including other large dogs on the property (another resident said the little dogs bit his big dog repeatedly, and he warned her to keep them on a leash or “they will become a snack”). The police wrote all of these things down. I have tried to contact my insurance company, but have yet to get a reply. I will keep trying. A copy of the official police report is on its way to me but i do not know how long that will take. I do have the case number though, to give to insurance. The police did not take our dog, nor did they give any indication that they intended to. We were not given any instructions or orders concerning our dog. In fact, the lead officer was petting him all over and telling him he was a good boy. Dispite this i cant shake this feeling of impending doom. Ive been hearing all sorts of horror stories of people’s dogs being siezed and euthanized, in some cases without a court hearing. I dont think my husband could handle the loss of this dog, and i believe our dog only attacked because he thought i was in danger. I know i should offer to pay the vet bills for the other dogs, but we are on a very small fixed income and recently had some unexpected expenses of our own when our only car broke down. I have also been told i shouldnt pay the vet bills because the attack was provoked by the other dog biting me first. It has even been sugested to me that i should sue the other owner for neglegence and for causing my husband so much pain and suffering and mental anguish. I am not going to do this. A court room is the absolute LAST place i want to be, and the stress it would cause my husband would not be worth any kind of pay out at all! Besides, i would have to be pretty greedy and cruel to sue a woman after her dogs were injured like that. I say, lesson learned. But here we are now, feeling like we are in limbo, terrified that at any moment ther will be a knock at the door… Someone to serve us court papers, or worse, someone come to sieze our dog. I have been warned by the property manager to “watch out” and to “avoid” certain angry residents who didnt see the incodent but heard exagerated or false retellings through the grape vine, so to speak. I have been too scared to leave my apartment, the anxiety bringing out my old stuttering problem again. The property manager, the other dog owners of the building, and I have taken preventive measures. All the dogs take separate routs out of the building. Potty time is scheduled. And we have been given a key to a private fenced-in area for us to take our dog to go potty. I have also been considering a cage muzzle for our dog to prevent this sort of accident from happening again (no one has asked us to do this, it is my idea in an effort to be responsible in the wake of this horrible event) however, im worried about the muzzle compromising our dog’s personal safety. The reason for my concern is that our dog has been attacked on three separate occasions, by three separate dogs (also residents of this building) who were each larger than him (100 pounds or bigger). While each time the other dog’s owners were able to recall their off-leash dogs… what if our dog was muzzled and it was just me there to defend him? From another dog that weights more than i do. And to top it all off, i recieved an email from the manager (which is odd because she usually texts my phone) saying that she “talked it over with corporate” and that if i “decided it was time to rehome/move out”, there would be “no penalty” for ending my lease early. I thought it was an odd but kind gesture. Nice to have options and all that. But honestly, moving out hadnt crossed my mind. The email went on to say how the manager depends on me and doesnt want me to leave, wasnt trying to make me feel like we had to leave, etc etc etc. It might be worth noting at this point that i also “work” at this apartment building to offset part of our rent. I do specific weekly and monthly tasks for a substantial discount on our rent. Thats the only way we can aford to live here, and this is litterally the cheapest place in town. Btw, this is a pretty dirt poor town. So, even if we decided to move, we wouldnt be able to aford the monthly rates anywhere else. And remember those unexpected expenses i mentioned earlier? Our bank account is dangerously close to zero right now. So we have nothing for first/last/deposite/etc on a new place. What? Sounds to me like she is trying to make us leave. Ive been told it might be because she cant evict us for this incodent? Y’know, because of the extenuating circumstance of the other dog biting ME first. But ive known this woman a long time, and it jist seems crazy to me that she would so passive aggressively try to push my family out of our home. I dont know what to think anymore. So here i am, not only worried about losing our family dog, my husband’s ESA… But im also scared for my husband’s health, both mental and physical, while trying to deal with my own emotional trauma (this has not helped my PTSD), and worrying about finding a new place to live (which may end up being our car -worst case scenario-) ALL while preparing my daughter for second grade, which starts next week. Please, does anyone have any good advice? Legal, emotional, etc? Has anyone been in a similar situation? Im so scared that i havent been able to eat or sleep in days, im frantically searching the internet for available pet-friendly rentals and legal advice, im trying to understand my city’s dog bite laws and how they apply to us, and everything has my head spinning. Theres never a good time for this sort of incident to occur, but man, this has got to have been the second-all-time-worst time for something bad like this to hit my family. I know this was a long post. Im sorry. Thankyou for reading. Sweetheart, I am so sorry you and your family are going through this. I am going to put you on my prayer list, I know that prayer is very powerfull. Please try to be calm and seek out His help. I’m sorry this happened twice now Teresa. It seems like the pattern is when your dog is on medication, he tends to bite. If this is true, perhaps when he is on medication, you should try to keep him away from others or use a muzzle if he is around others (a muzzle should only be used for short periods of time though, not entire days). Hopefully this will keep him from biting in the future. Unfortunately, we all love to pet cute dogs and sometimes we aren’t good at listening to warnings (adults and children alike). Although you did your best to let the child know she shouldn’t pet the dog, we (as pet owners) are still responsible for our dog’s actions. Fortunately, it sounds like there won’t be any legal consequences for this instance, but there is no guarantee next time, which is why it’s important that you try to prevent this from happening again so your sweet dog can be with you forever. U should not worry. No animal control or police officer can remove your dog without a warrant. A judge is the only person who has the authority to do so. So if u are not being taken to court then u are in the clear. A mother in need of help! I have a very serious question to ask… my fiancé and our two kids (one boy-14mo & one girl-6yr) live with my fiancé’s grandparents for the time being until we find a new house. Anyways, my fiancé’s dog lives here at his grandparents house and he’s had him since he was about 16. This dog is not used to being around kids and we both knew not to let him get too close to the kids without supervision. Well, one morning I was taking my daughter to school and left my son here with my fiancé and when I was driving up I just hear nothing but him yelling at the dog and screaming “NO” to him and he sounded horrified. So I rush inside and my sons face was bitten up by that stupid dog!! Dropping blood, swollen, screaming, crying. I’ll never get the image out of my head. My fiancé told me he was just using the restroom really quick with the door wide open and our son was in the hallway “playing” with the dog, and then all of a sudden he said he heard them dog give out a loud growl and my son starts screaming! We took him to the hospital and had him checked out, but since my fiancé loves his dog so much he lied to the nurses and doctors about WHICH dog had bit him. To protect his dog, he said it was a “stray” dog in the neighborhood that bit him. I’m furious at this point. I want so badly for something to be done about that dog but I feel now it’s too late to speak up and I don’t want me speaking up to backfire on me and result in me getting my son taken from me. This happened about a month ago, but the anger I have towards this dog still burns inside and he’s just out back roaming around like he was before. All my fiancé did was beat him. That’s not justice and in my opinion that’s more torture than just putting the dog down. I’m so sorry this happened to your family. I want to be clear about what I’m about to say, these are my own personal opinions and I have no legal background. I am merely a pet parent as you are yourself and if I were in your shoes, this is what I’d do. I have experience with an aggressive dog, not to the extent of what your fiancé’s dog has done, but it was enough for us to decide that he needed a new home. If you read the article, you’ll notice that a big reason we chose to say goodbye to our dog is because we didn’t want him to bite someone, especially a child. Unfortunately, the worst case scenario has happened to you, and your son was injured by your fiancé’s dog. I am so sorry for this. I understand your fiancé’s love for his dog. We want to protect those close to us and in that moment, he may have thought that was what was best. Unfortunately, there’s nothing stopping the dog from attacking someone again, including one of your children. There are always going to be brief moments when you aren’t watching, when you’re making dinner, getting the mail, going to the bathroom, etc. It’s in these instances (as you’ve learned) where the worst can happen. I do not agree with your fiancé beating the dog. I believe that reprimanding an unwanted, aggressive action with aggressive behavior only instills that behaving aggressively is acceptable. I do not think any living being should be beaten ever, this includes dogs, people, etc. The dog most likely didn’t associate the beating with his aggressive behavior towards your son and even if he did, he probably didn’t realize that biting is a no-no. If it were me, I would have a discussion with your fiancé about the dog needing to be rehomed or put down. I’m not quite familiar about the legalities of what would happen since there was a lie told about the dog who attacked your son, so I can’t offer an opinion or advice there. I do know that I wouldn’t allow the dog in my home with my children again. Your children, fiancé, your fiancé’s dog and you all have a right to live in a home where you all feel safe and comfortable. Currently, that isn’t the case for any of you. I believe that a dog should not feel threatened by someone who he lives with. Even though the dog is unnecessarily threatened by your children, it’s still not a safe environment for anyone, in my opinion. If you choose the rehome route, you need to be very clear with any future owners that the dog is not comfortable around children and explain his history thoroughly. If this occurred to someone else’s child, there is a likelihood that your fiancé would be facing legal consequences and the dog would be put down. Again, I’m not trained in that area, so those are just my personal thoughts and opinions. With all this being said, only you can make this decision for your family. I only know what you have shared with us in your comment, so I am not as familiar with the situation as you are. I’m sorry if any of my opinions I shared are offensive or difficult to hear. As a currently expecting mother (due in August) my heart goes out to you. When I read your comment I could hear the pain and struggle you are facing. I hope you can find a solution that makes you all feel more comfortable. I wish you all the best of luck and I hope your son is healing well. this had happen but it was a 7 year old boy and he had missed with her so yeah but know i can’t have my baby girl back.The SPCA had token her away and I had no choice but to gave up my rights ,They also changed her name . she was my only thing that held me together and with out her.I feel like there is no point to live , but I have a family.But they take a huge chunk of it .So what do I do? I’ve been curious about finding a dog bite attorney to help us in case our dog bit someone. I’m glad you talked about how you should get legal advice for a dog bite, because I think it would be really helpful. I’m going to have to keep this in mind and hopefully never need a dog bite attorney! A couple of days ago my Pekingese mix and I were out for our morning walk and he bit someone. She was a runner passing us from behind on the sidewalk. She scared the heck out of me because she called out “behind you” right behind my right shoulder. My dog was startled and jumped up on her, she jumped back and he nipped her shin. As far as I could see the skin wasn’t broken. I feel so awful about this. I apologized like crazy. She said it was ok and I practically had to force my name and number on her. Now this morning I received a call from animal control that my dog was reported. I’m devastated. The other day on a run I came across two ladies walking their dogs. As I ran past the pair, one of the dogs turned and bit me on the back of my knee. The bite tore through my pants and broke the skin on the back of my knee. While I stopped to inspect the bite, the owner asked if I was okay, but minimal response was provided beyond that. 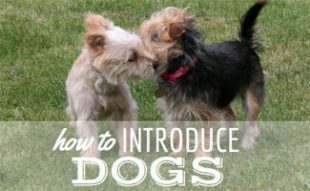 This article would be good for all dog owners to read and have handy so that they can provide better assistance if a scenario like this were to arise. Unfortunately, I’m left without many answers at the moment and would have appreciated a better handling of the situation. Oh no! Hopefully the bite wound is healing well. I’m sorry to hear you’ve experienced this firsthand, and agree with you, this is something all dog owners should be knowledgable in ahead of time. Thanks for sharing your story with us. My son-in-law got bit by a pit bull while doing a quote on kitchen cabinets at the homeowners home. She said she just got him two days before and didn’t know if he had rabies shots so he is having to go through all those shots. And now, the homeowner’s insurance policy says it doesn’t cover dog bites. What action can he take now? He does have a court date for the ticket the homeowner received at that time but don’t know if that will result in them paying his medical bills. Any thoughts? My dog just bite my 1 year old nephew and im so sad. I scared that my dog might be taken away and put down. He has all his shots. He did it because he was scared i know this. We were all sitting on my bed and my dog was at the end of the bed. While my nephew sat on my lap he crawled off and then hopped up and grabbed my dog. My dog in return bite him because he was scared. I just looked away for second. And it happen he was biten underneath his right eye . And it is bruised and red. Looks like a huge scratch. My sister is so mad at me and my poor Mister Pickles. I dont know what is going to happen now. I dont know what i should do. My roommate has her first dog and can be pretty irresponsible with him. today she told me she was going to put him on his yard chord for a bit while she did homework. I was cleaning the bathroom and thought she meant she was going to do homework in her room or on the porch. she actually left the house without telling me and left him outside on his chord so I was the only one home without knowing it. A little while later like fifteen minutes I went downstairs and saw a package on the porch. While I was pulling it in the dog ran around the corner of the house (still on his chord ) , I was surprised to see him and even more surprised when he suddenly started barking at a man passing our house then he bit him on his bum ! I couldn’t see clearly a bush was blocking my vision but I dropped everything and grabbed his chord while apologizing . The guy was yelling at me about the dog and freaking out. I put the dogs inside and went and talked to the man to ask if I could do anything if he needed anything he said no but called animal control. I don’t want to be held liable for my roommates dog but I was told by animal control that I will be held responsible since I was the only one home. I’m at a loss I really am . My dog was in another persons care for a week. During that time my dog bite a 8yr old while eating. The kid knows not to approach the dog while eating but did so anyways. Can they actually sue me and win if the dog was not in my care? What if my chaweenie bit my 6 year old in the face just below the eye? They were relaxing on the recliner together then when my daughter tried to reposition the dog snapped at her, she has snapped before but never bitten her, just enough of a snap to say leave me alone, but today it was completely unprovoked. I am heart broken because I don’t want to give her up, but how can I trust her now…. Well, fist you have to watch his behavior as well as your 6 year old because sometimes it could be the dog or the child. Dogs can since things humans can’t so he was probably thinking and when she moved him he got scared and did the only thing he could. Which unfortunately is be protective and bite. I have a Service Animal who bit someone after a room full of people witnessed this person attack me. Dora,(Beagle Pit-Bull mix) did nothing until my wife pushed both me and the attacker away from each other,causing me and the attacker to fall to the ground. That’s when Dora bit both him 2x and me once. There was a police officer standing next to the owner of the establishment and witnessed the whole ordeal, and did not even question me after the ordeal, nor did he write a police report. However, he owner of the establishment has banned my Service Animal but not me. What do I do now? What precautions should I take? What recourse do I have? Well, first you should always make sure your dog has his/her vaccines, next you have to train your dog, on how and when to attack on your command.